We are here to SERVE God and each other, REACH lost and hurting people, and to TEACH the unchanging transforming truth of God’s word the Bible. Our Mission is connecting people to God within the Marketplace. Our Vision is to use business to create resources for ministry. We partner with local entrepreneurs inside our community helping create jobs. With the combined resources of the business income and the church we fund the local ministry and our missions. Q. What can I expect when I visit? A. Once you arrive on our campus we want you to feel at home. You will be greeted with friendly faces and receive a special gift from us just to say thanks for being our guest! You don’t have to worry about being called out in public. We want your first visit to be enjoyable with no pressure. 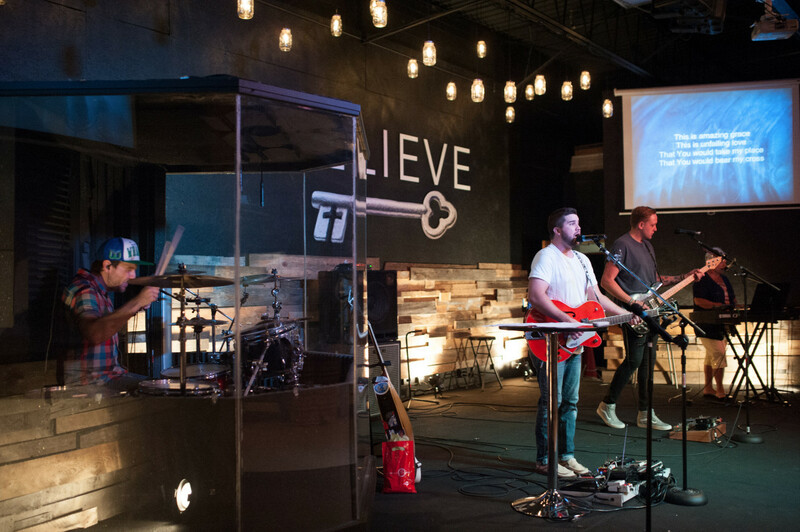 You will encounter the presence of Jesus Christ through life-changing messages and engaging worship. Q. Do I have to fill out a visitor card? A. That is completely up to you but we do ask for some general information so we can follow up with you the next week and hopefully get some valuable information on your experience with us that not only gives us the opportunity to connect with you but also helps us grow as a church in any areas we may be lacking. We know that not everybody feels comfortable in the same atmosphere. Most importantly we want you to find the church that God is calling you to whether that is us or not. If you don’t feel like MPC is your home we can recommend some other great churches in our area. Q. Does it matter what I wear? A. Absolutely NOT! You will see everything from suits to jeans and everything in between. We don’t judge people by what they wear. We want you to feel comfortable and at home here so whatever makes you comfortable is fine with us. A. At MPC kids are very important to us. You will check your kids in using our KIDCHECK program and they will be ushered into their own unique facility and service designed just for them. All of our volunteers are approved through back ground checks so you can rest at ease. Our MPC Kidz Team is full of caring and fun volunteers who want to see your kids encounter Jesus Christ and create relationships with other kids along the way. Don’t hesitate to bring them!